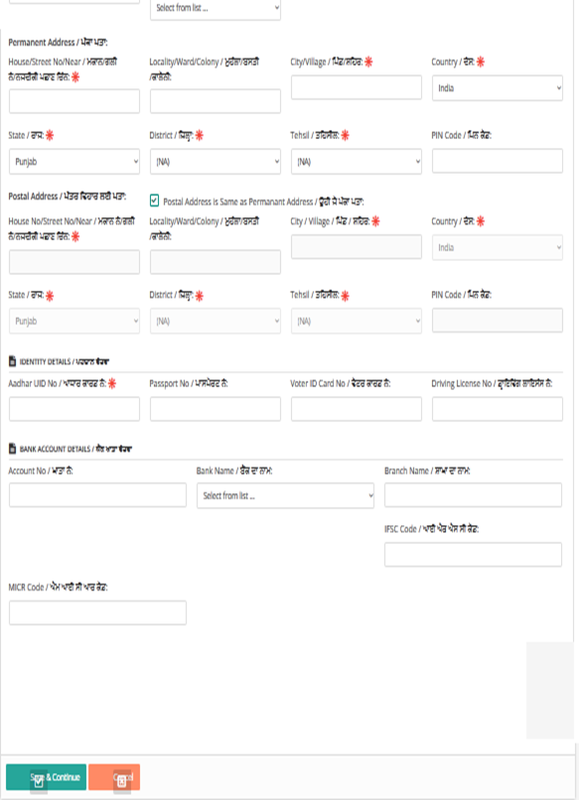 Window open naming “Candidate Registration”, fill the basic details like candidate’s name, father’s name, mother’s name, date of birth, contact details, E mail id. Click on I Accept in the undertaking. 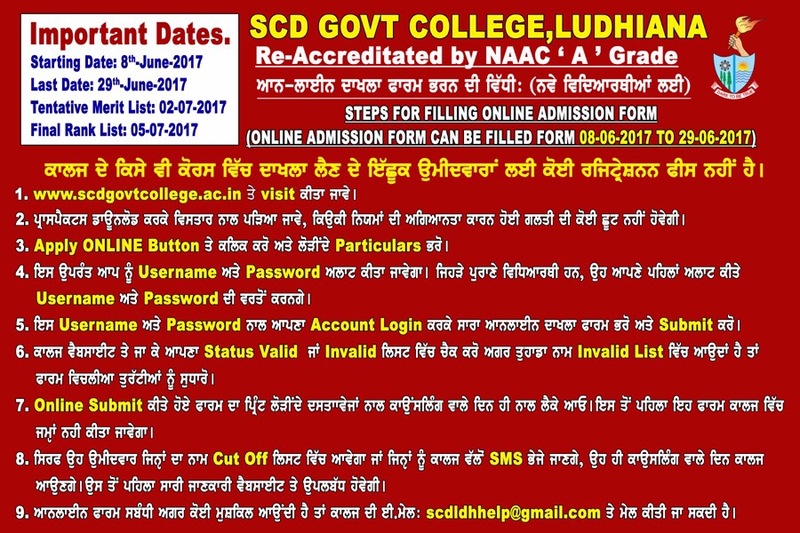 Click on Save and Register. STEP 2:Window with heading Registration Detail opens. 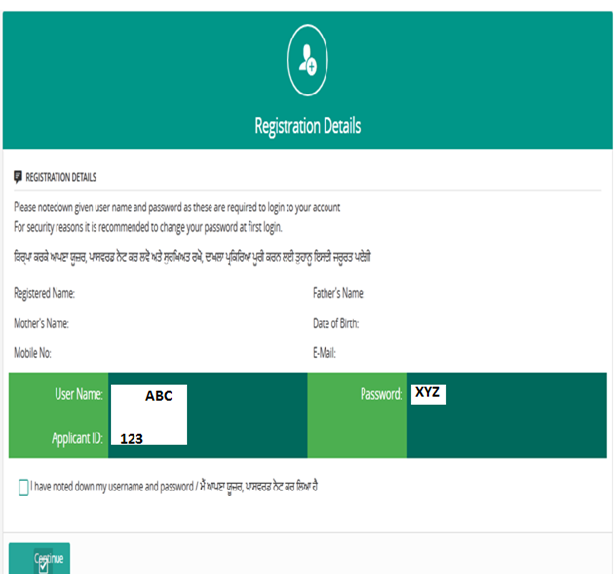 In this step student gets a User name, password and Applicant ID. 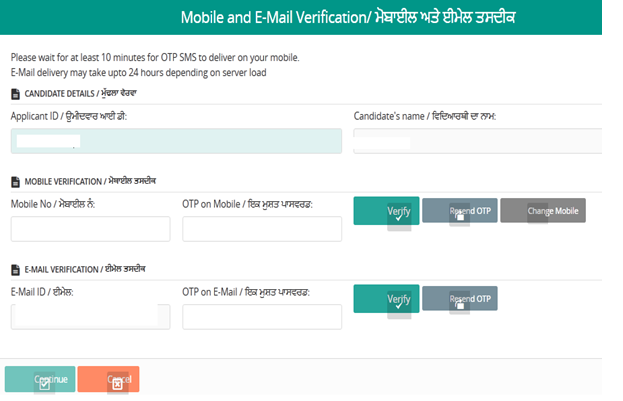 Simultaneously automatic message of OTP generated will be received on the mobile number given and a mail will also be received on the Email id mentioned. Click on I have noted down my username and password. 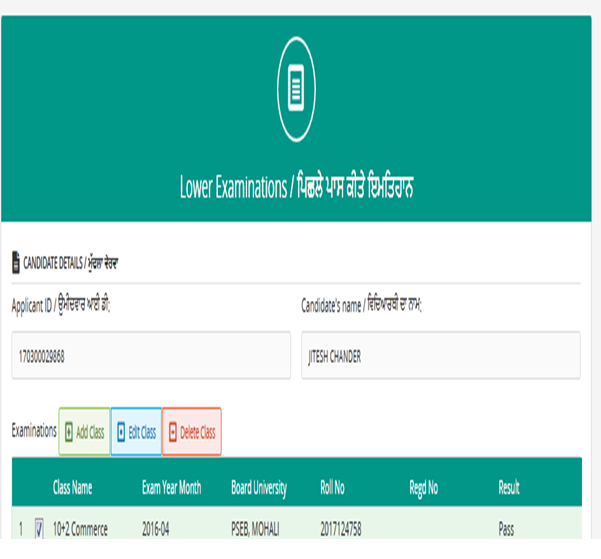 This step includes Verifying the mobile number and E mail id. 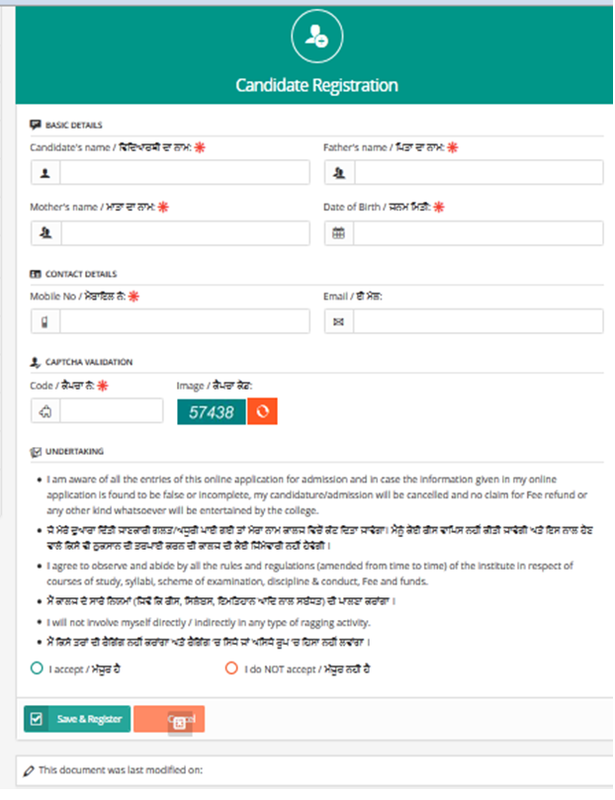 Candidate can see the automatic filled particulars. See Applicants ID, Candidate’s name, mobile number, click on send OTP. Fill all the particulars given in the image shown below. All the particulars marked with red star are compulsory to be filled. 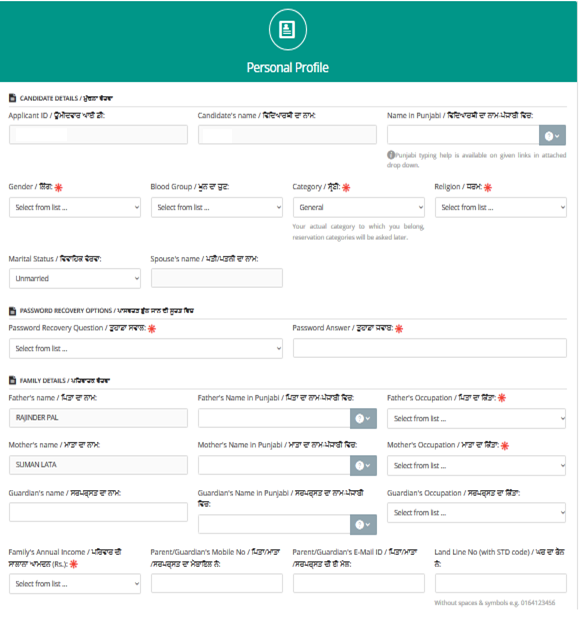 After filling the form, Click on Save and Continue. Upload the photo and signature as per the instructions mentioned on the screen. 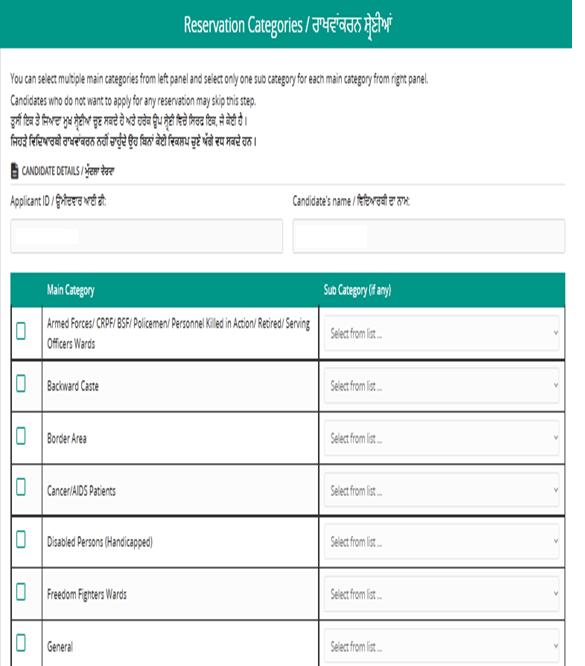 Applicant can select one or more than one reserved category from the main category as shown below in the picture. Sub-categories may or may not be required (if in any case required select the appropriate one). 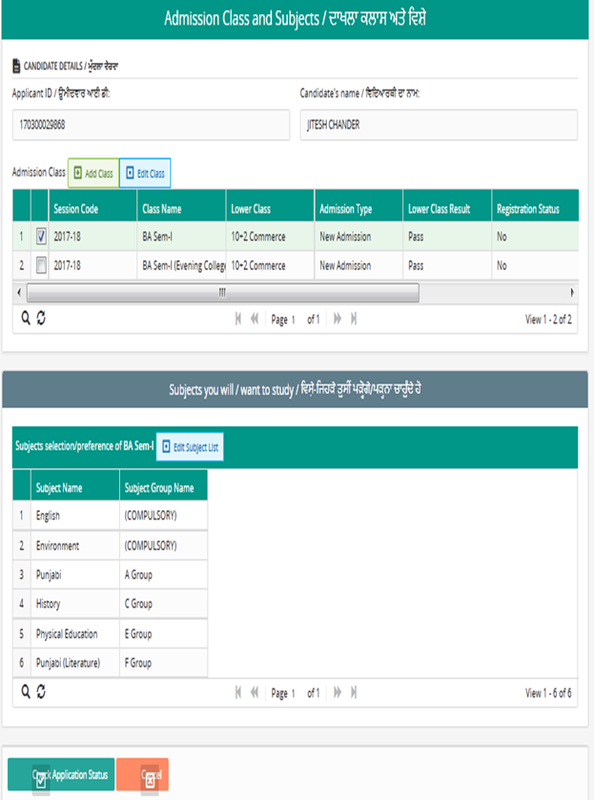 Click on Add Class displayed in Green Color. 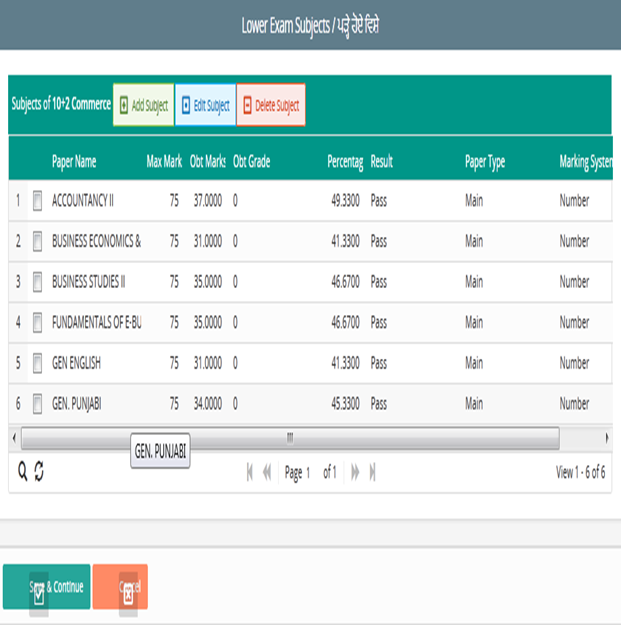 Click on Add Subjects, displayed in Green Color, add all the subjects one by one as per lower/qualifying Detail mark sheet. 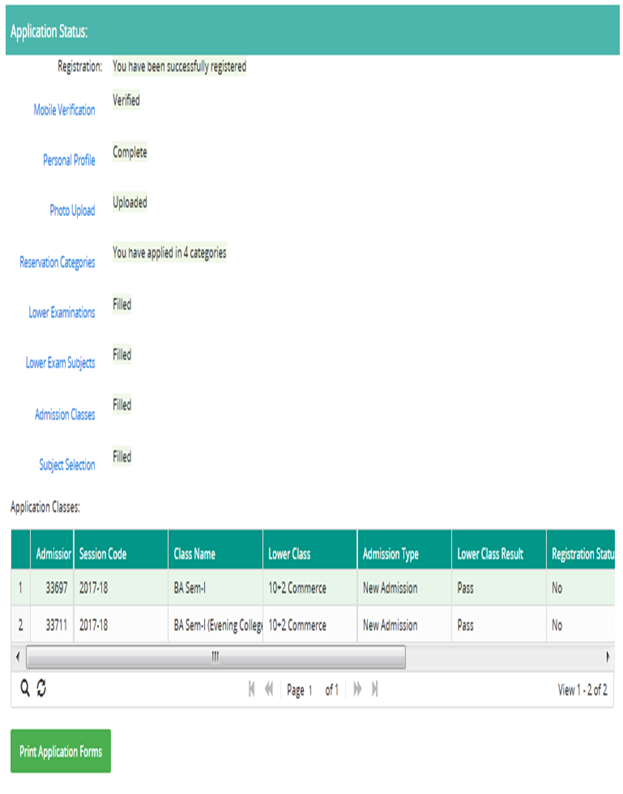 Adding each individual subject will require details like marks obtained; maximum marks, etc. click Ok after filling each subject. After adding all the subjects, click Save and Continue. 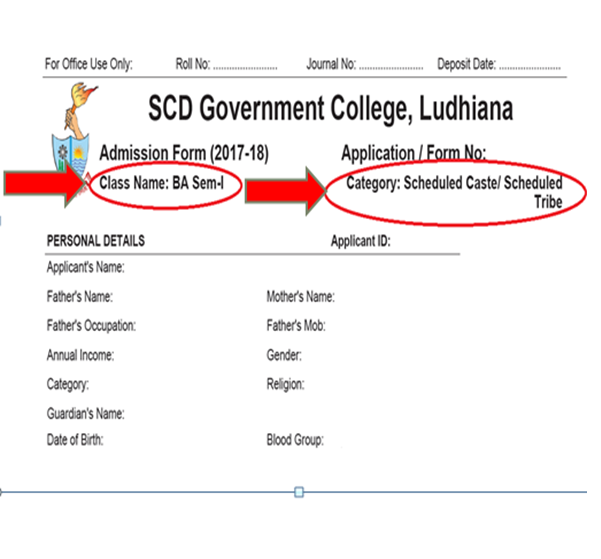 After selection of class, subjects corresponding to that class are supposed to be selected. Applicants can select for more than one class simultaneously. Click on Check Application Status. As shown in image below please assure the status of each completed process. 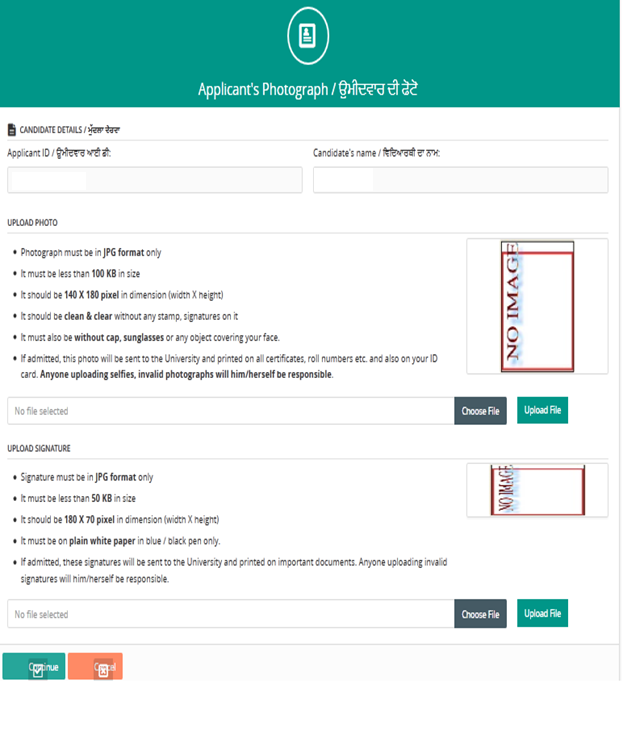 Last step is the Print Application Forms. There would be a different form for every class selected, and for every category selected. Physical Submission of form is not required anywhere, it is needed to be presented at the time of counseling.